Sir Charles Douglas Fox (1840–1921). 1840 May 14th. Born in Smethwick, Staffordshire, the oldest son of Sir Charles Fox; he had two brothers and a sister. Douglas was educated at Cholmondeley School, Highgate School from 1851 to 1854 and King's College School from 1854 to 1855. He studied at King's College, London from 1855 to 1857 and was to have studied further at Trinity College, Cambridge but the financial collapse of his father's contracting company in 1857 ended his education. Douglas was instead articled to his father who had set up an engineering consultancy, Sir Charles Fox and Sons. Douglas served as an officer in the Volunteer Force London Rifle Volunteer Brigade and was commissioned as an Ensign in that unit on 17 June 1861. He received promotion to Lieutenant in that unit, since renamed the London Rifle Volunteer Corps, on 18 November 1863. During this period Douglas held several patents including one for "improvements in machinery for nicking and dressing the heads of screw-blanks" which was approved on 28 April 1868, one for "improvements in the manufacture of method of repairing railway rails and other iron in a permanent way and in the machinery to be employed therein" on 30 July 1868 and one for "improvements in screw cutting and threading machines and in the construction of screw nails and spikes" on 30 April 1866. The latter two patents expired after a seven year period for non-payment of stamp duty required for a patent extension. Douglas was a member of the Church of England and was active in the Church Mission Society as well as being the author of several academic papers. By 1865 the firm was involved in major projects in Britain, the USA, Canada, southern Africa, India, Australia, and South America. 1866 Charles Douglas Fox, Sir Charles Fox and Son, 8 New Street, Spring Gardens, London. By 1873 Douglas was also a member of the Institution of Civil Engineers. The family firm remained solely a father and son enterprise until Sir Charles' death in 1874 at which time Douglas became senior partner of what was now Douglas Fox and Partners. At this stage Douglas' brother Francis also became a partner of the firm. The Mersey Tunnel was designed by Sir Charles Fox. The design was carried out by his son, Douglas Fox, who was joint engineer to the Mersey Tunnel Co (set up in 1866) with James Brunlees. Douglas was involved with the construction of the Snowdon Mountain Railway and the extension of the Great Central Railway from Rugby to London including the terminal at Marylebone Railway Station. He worked on several of London's early tube lines including the Great Northern and City tube, the Hampstead tube which linked Charing Cross with Golders Green and Highgate, and the unsuccessful North West London Railway project. Douglas was, with James Henry Greathead, joint engineer of the Liverpool Overhead Railway which was the first electric elevated city railway in the world. Further afield Douglas was involved with the design of much of the Cape Colony railways, the whole Rhodesia railway system, which included the 500 ft span Victoria Falls Bridge, the Benguela Railway in Angola, and several railways in South America. The firm were consulting engineers to the Central Argentine Railway; the South Indian Railway; the Southern São Paulo Railway and the Dorada Railway. 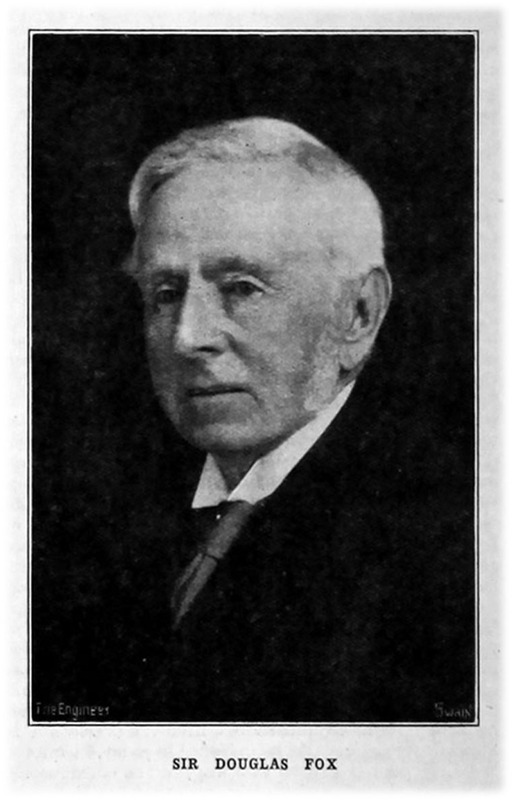 Sir Ralph Freeman, one of the firm's chief engineers, most notably worked on the the Victoria Falls Bridge (1905) and the Sydney Harbour Bridge (1932). Freeman rose to become senior partner, and in 1938 the firm changed its name to Freeman Fox and Partners, and later Acer Freeman Fox. On 8 March 1886 Douglas was knighted at Windsor Castle by Queen Victoria for his work with James Brunlees on the Mersey Railway Tunnel and a railway linking Birkenhead with Liverpool, after its official opening by the Prince of Wales, later King Edward VII. 1887 he was made an honorary fellow of his alma mater, King's College London and from November 1899 to November 1900 served as president of the Institution of Civil Engineers. 1888 Joint engineer with James Henry Greathead on the Liverpool Overhead Railway. 1921 November 13th. Died in Kensington, at the home of one of his daughters; Mary had died the year before. The firm became Freeman, Fox and Partners in 1938 after Ralph Freeman, who had worked for the firm since 1901, became a partner. In 1988 it became Acer Freeman Fox and is now known as Hyder Consulting. Sir CHARLES DOUGLAS Fox, who died on the 13th November 1921, was the son of the late Sir Charles Fox, Consulting Engineer. Born on 14th May 1840 at Smethwick, Birmingham, he was educated at Highgate and King's College, London, of which he was elected a Fellow, and received his engineering training as an articled pupil with his father, with whom, together with his brother — afterwards Sir Francis Fox — he entered into partnership as Sir Charles Fox and Sons. After acting as resident engineer on several railways, his principal earlier work was the construction of the London, Chatham and Dover, and the London Brighton and South Coast Railways. He also acted as Consulting Engineer in the construction of many railways at home, in South America and in the Colonies, notably Australia and South Africa, and in connexion with the latter should be mentioned the famous Victoria Falls Bridge over the Zambesi River. In conjunction with Sir James Brunlees he acted as Consultant in the construction of the Mersey Tunnel, and the honour of knighthood was conferred upon him on its completion. Also in Liverpool he was responsible, jointly with Mr. J. H. Greathead for the Overhead Railway, which runs along the dock frontage. In the Metropolis, works carried out to his plans, and under his supervision are numerous; chief among them are the extension of what is now named the Great Central Railway from Rugby to London, which included the construction of Marylebone Station, and two tube railways, the Great Northern and the Hampstead, opened in 1904 and 1907 respectively. During the War the principal constructions of national importance with which Sir Douglas Fox and Partners were actively associated were the docks and slipways for Messrs. Furness, Withy at Middlesborough, and the explosives factories for the Admiralty at Holton Heath, Dorset, and for Messrs. Nobels at Pembrey, South Wales. It is of general interest that the firm for many years have acted as Consultants for the Channel Tunnel Scheme. The late Sir Douglas was a Director of many industrial concerns, in several of which his services as Chairman were valued. Elected a Member of this Institution in 1866, he was also a Member of the Institutions of Civil and Electrical Engineers, and was President of the former in 1899-1900. SIR CHARLES DOUGLAS FOX, K.B., J.P., was born on the 14th May, 1840, at Smethwick, Birmingham, and died on the 13th November, 1921, in London. He was the eldest surviving son of the late Sir Charles Fox who designed and constructed the first Exhibition of 1851 in Hyde Park. He was educated at Cholmondeley School, Highgate, King's College School and King's College, London, of the last-named of which he was a Fellow. 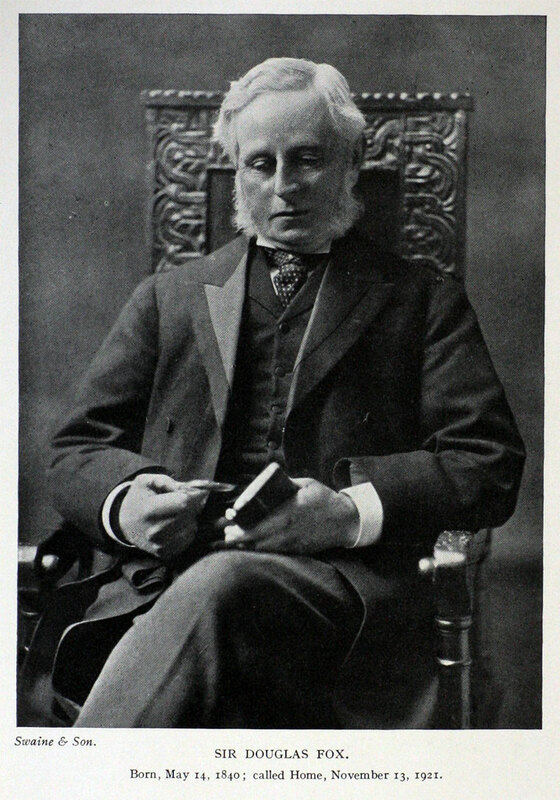 With his brother, Mr. Francis Fox (now Sir Francis Fox), he was articled to his father in 1858, and in 1860 joined him, the firm being known as Sir Charles Fox and Sons. On the death of Sir Charles Fox, the title of the firm was changed to Sir Douglas Fox and Partners. The firm have acted as engineers-in-chief and consulting engineers to many important undertakings, both at home and abroad, amongst which may be mentioned the construction of the London, Chatham and Dover and London, Brighton and South Coast Railway approaches to London. Sir Douglas was constantly engaged as an expert engineering witness in the Parliamentary Committee rooms at Westminster, in connection with the promotion of and opposition to Bills for the construction of railways and harbours, etc., and London tube railways. He was elected a Member of the Institution in 1902, and was also a Member of the Institution of Civil Engineers, serving as President of that Institution in 1899-1900, and also for many years on the Engineering Standardization Committee. He was an Honorary Member of the American Society of Civil Engineers. He was deeply interested in all Christian and philanthropic work. SIR DOUGLAS FOX, who died in London on 13th November, 1921, was born at Bellefield, near Birmingham, in 1840, being the son of the late Sir Charles Fox, also an Engineer of distinction. 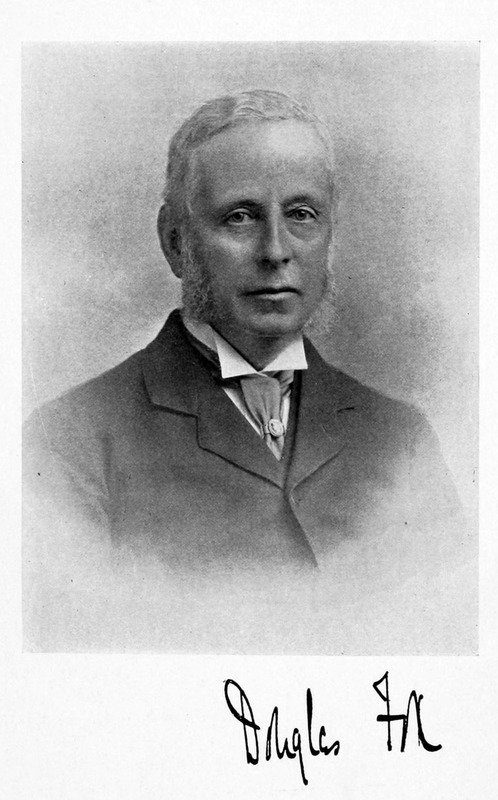 He was articled to his father in 1857 and in 1860 was appointed Resident Engineer to the Witney Railway, which post he held till the completion of the line in 1862, when he was made Engineer to the Company, subsequently, in 1863, his father took him into partnership, the firm being then engaged on railway work in the South of England, the main works being the Brighton, Chatham and Dover and the South Western Railways. At the death of Sir Charles Fox, his two sons Charles Douglas and Francis carried on the business in Westminster, the title of the firm becoming Sir Douglas Fox and Partners. Sir Douglas Fox, in conjunction with the late Sir James Mirrlees, was engineer for the Mersey Railway, which was opened by the Prince of Wales in 1885 and for which he received the honour of Knighthood. Later, with the late Sir James Greathead, he constructed the Liverpool Overhead Railway and other great works; not so closely identified with Liverpool were the bringing of the Manchester, Sheffield & Lincolnshire Railway - now the Great Central - into London at Marybone, and the construction of two of the London Tubes. Abroad he was perhaps best known as the Engineer for the Zambesi Bridge, but in addition, in conjunction with other eminent engineers, he was Consulting Engineer for the South Indian, Mashonaland, Rhodesian and Borneo Railways. In South America he constructed the Central Argentine and other Railways. Sir Douglas Fox was a Past President of the Institutions of Civil Engineers and a Member of both the Institutions of Mechanical and Electrical Engineers, and was one of the pioneers of the British Engineering Standards Association. He was a County Justice and one of the original 19 Aldermen for the County of Surrey. He was elected an Honorary Member of the Liverpool Engineering Society on the 31st March, 1897. This page was last edited on 19 March 2018, at 18:38.